Did runDisney just cancel the 2015 Tower of Terror 10 Miler? UPDATE: runDisney has said that the 2015 Tower of Terror 10 Miler has been suspended. The choice to use “suspended” implies that it will be back after the Backlot Tour area refurbishment has been completed. The original article is below. 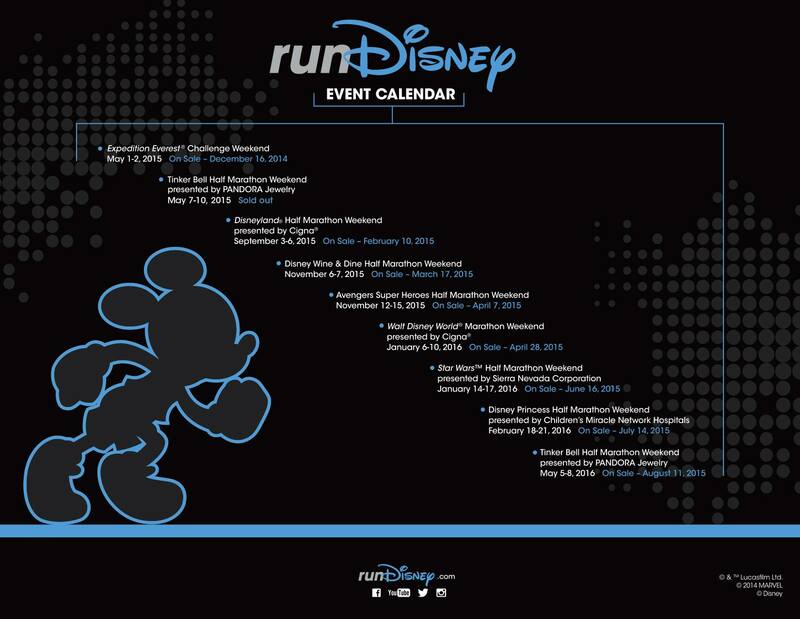 runDisney just posted the the 2015-16 race dates, and the 2015 Tower of Terror 10 Miler event is missing. The Tower of Terror 10 Miler is a 10 mile race that starts at Hollywood Studios and runs through the Animal Kingdom parking lot, ESPN Wide World of Sports complex, and back through Hollywood Studios, ending at the Tower of Terror. One of the biggest reasons for the apparent cancellation of the event is the fact that the Backlot Tour area could be under construction this time next year. The end of the route currently runs through the Lights, Motors, Action! Extreme Stunt Show, Streets of America, and the Backlot Tour. It will be interesting to see if runDisney is forced to make an announcement before Hollywood Studios executives say anything about the future of the Backlot area. Take a look at the dates below. Click on the image to enlarge. Next articleMove It, Shake It, Dance and Play It to start on the 26th? Yeah. We weren’t solely going for that reason, but we did align it for that and were making plans for it. I was hoping it was going to be more of Expedition Everest where maybe it was up in the air but still happened, when it was being left off schedules and papers, when it was being rumored to be replace with Star Wars (which obviously landed in California instead). Ok. Cool. I was mostly curious. Suspended seems like a carefully chosen word. It leaves it open to coming back at least. Where as the other replies I’ve seen were less concrete. I’m just bummed. We scheduled our trip for next year at that time. Going for my daughter’s birthday, but lined it up with what should have been ToT weekend.